No Handling Fees for Owner's Lockers, Scooters - DVCNews.com - The essential Disney Vacation Club resource! Storage and mobility products from vendors like Owner's Locker and Buena Vista Rentals are not subject to the bell services handling fees recently announced by Disney. A Disney representative has confirmed that recently-announced $6 delivery fees will not apply to Owner's Lockers, motorized scooters, strollers and similar products. At the start of April, Disney Vacation Club properties and other Walt Disney World hotels implemented a $6 handling fee for in-room grocery deliveries. The fee is applied when deliveries from services like Instacart, Amazon Fresh and Garden Grocer are stored by bell services and later delivered to the hotel room or villa by a Disney staff member. Guests can avoid the handling fee by claiming their deliveries curbside or retrieving them from the bell services stand in the resort lobby. 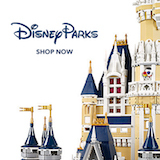 In late 2016 Walt Disney World resorts imposed a $5 fee for all packages delivered in a guest's name via freight carriers like UPS, FedEx and the US Postal Service. Until recently, grocery deliveries had been specifically excluded from the fees. The parcel handling fee was also recently raised to $6 per item.